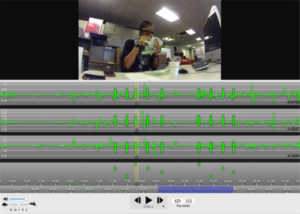 First-person point-of-view (FPPOV) images taken by wearable cameras can be used to better understand people’s eating habits. Human computation is a way to provide effective analysis of FPPOV images in cases where algorithmic approaches currently fail. However, privacy is a serious concern. We provide a framework, the privacy-saliency matrix, for understanding the balance between the eating information in an image and its potential privacy concerns. Using data gathered by 5 participants wearing a lanyard-mounted smartphone, we show how the framework can be used to quantitatively assess the effectiveness of four automated techniques (face detection, image cropping, location filtering and motion filtering) at reducing the privacy-infringing content of images while still maintaining evidence of eating behaviors throughout the day. via ACM DL Technological approaches for addressing privacy concerns when recognizing eating behaviors with wearable cameras.